Selling a home is a complex process. That’s why I have some resources for sellers listed below. But you’re best resource is a real estate agent … like me. If you have any questions about the value of your home and how to sell it for most money, I’d be happy to help. Just call or text me at 703-527-8245. Repair. Just because you’ve gotten used to the sticky doors, cracked walls and drippy faucets doesn’t mean a buyer will too. While they may seem inconsequential, these small problems can lead to the impression that your whole home is not well-maintained. Replace. Buyers will decide within minutes whether they like your home. Outdated fixtures, worn carpets, old wallpaper, peeling paint, mildewed caulk, dated appliances and dead shrubs are a turn off. De-clutter. You want buyers to see themselves not in your home but in their future home. If your home is full of your collectibles, knickknacks and personal photographs, this will be much harder for them to do. Also remove excess furniture and items on your kitchen counters and bathroom vanities, and pare down the contents of cabinets and closets. Clean. Your home should be spotless from top to bottom, inside and out. If you don’t have the time to devote to this process, consider hiring professional cleaners. It must also smell clean. Remove evidence of pets as much as possible. Litter boxes, fish tanks, and feeding areas should be pristine. Neutralize. Remember, your home is now a product and you want it to appeal to the widest range of potential buyers. Replace any bold color choices on your floors and walls with something more neutral — think grays and beiges. Repainting and re-flooring will make everything look fresh and new, and help prospective buyers imagine all of the possibilities. 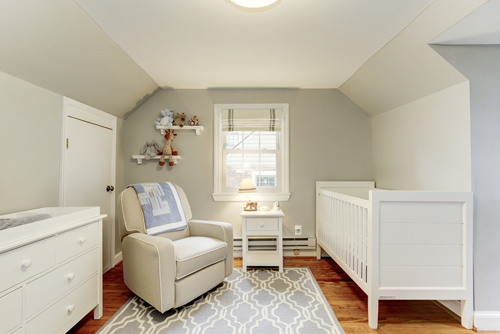 To find out more ways to prepare your Arlington area home for sale including strategic pricing, staging to sell and superior marketing read about how I can help sellers or email, call or text me at 703-447-0970 for a no-pressure, free consultation. Many people ask me if they should buy or sell a home during the winter market, which is typically November, December and January. If you are a buyer, there are fewer homes on the market but there are also fewer buyers to compete with. Additionally, you may be able to get a nice discount since homeowners who place their home on the market in the winter are typically highly motivated. However, if you have very specific criteria that makes the home you want difficult to find, you may need to be patient until spring when more homes for sale come on the market. If you’re looking to buy, remember that the seller is likely as motivated as you are because very few people choose to put their house on the market during this time of the year. If you are looking to sell, buyer motivation and low inventory can be on your side. While some homebuyers are looking for a “deal,” some need to find a home due to a job or family change that necessitates a move before the spring season. With fewer homes available for sale, your chances of getting a contract can be stronger. Buyers should be quick with an offer. Other motivated buyers and sellers are also out there, so time is of the essence in securing a home. Sellers should not be quick to dismiss an offer. With less competition, buyers may be more likely to make a “low ball” offer than during the busy spring or fall seasons. Be open. If the initial offer is low, you don’t have anything to lose by countering the offer. Be open to negotiation. It’s likely that both seller and buyer are motivated to make a sale. Be flexible on closing/settlement times. Consider the holiday schedule, which affects not only lender and title company availability as well as employee vacation time and the family commitments that the seller and buyer likely have. Be joyful. You might end up with a great gift for your family during this often-festive time of year: A new home or the sale of the family home. Want To Know More About Buying Or Selling Your Arlington Home In The Winter? 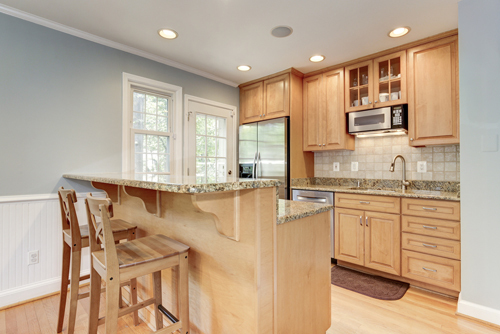 Have questions about when is the right time to buy or sell a home in Arlington, VA? Feel free to email or text/call me at 703-447-0970 to talk about buying a home or selling a home. I’d be happy to help. 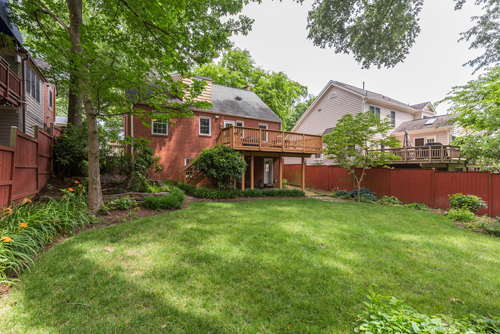 HOW DID THIS ARLINGTON HOME SELL IN 5 DAYS FOR $30K OVER LIST PRICE? My clients called me on a Saturday afternoon with great news – they had found a wonderful new home they wanted to buy and we needed to write up an offer for that home right away. 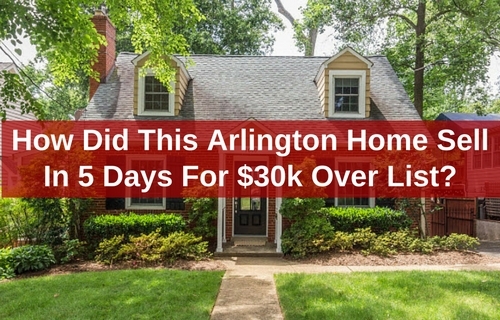 But to buy that new home, they needed to sell their 4-bedroom home in the Cherrydale neighborhood of Arlington … and sell it FAST! So, I met with them the next day, Sunday, and we devised a plan to get their home sold fast and for top dollar using my proven Get It Sold System™. First, we discussed the pricing strategy. 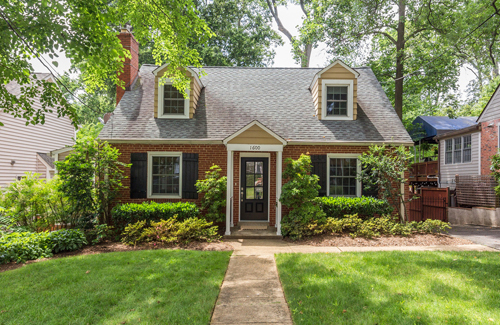 Based on my precise analysis of recent home sales in Cherrydale, the home’s condition and amenities and what was happening in the Arlington real estate market, I suggested that we price the home slightly lower than market to attract multiple offers, get a great price and get it under contract quickly. I worked closely with my clients and made suggestions on how to stage their already lovely home to make the floor plan feel more open and “show-ready” for potential buyers. Some furniture was removed and the remainder was rearranged, the home was de-cluttered and a few small home décor items were purchased to add a little pizazz. 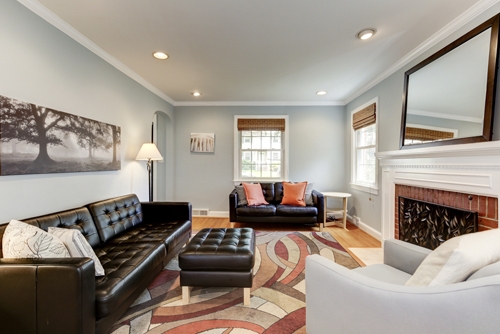 Once the house was looking its best, my professional photographer captured vivid, high-quality images of the home. Then the best images were selected and used for the MRIS listing where local real estate agents find properties for their buyers. The listing was also featured on all the major home search websites (Realtor.com, Trulia, Zillow, etc.). But most importantly, I created a unique custom website to feature the fantastic photos of the home (1600StaffordSt.com) that is responsive and looks great on all kinds of devices: phones, tablets, laptops and desktops. I also notified top local Realtors® to ensure they told their Arlington buyers. To encourage potential buyers to make their best offer quickly, we set an offer submission deadline of Monday night. And our plan worked! About 100 people visited the house in the four days it was on the market and we received five offers – with four at list price or above. 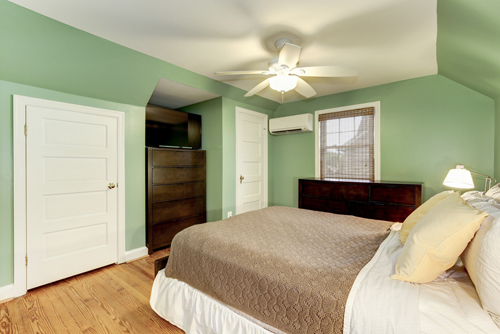 We also received escalation clauses and contracts without the usual financing and home inspection contingencies. The home sold for $860,000, which was $30,000 over list price! It took a little over a week from our first meeting to have the home under contract. This was absolutely critical because the purchase of their new home was contingent on the sale of their current Cherrydale home. Congratulations to my clients! I am so happy for them! 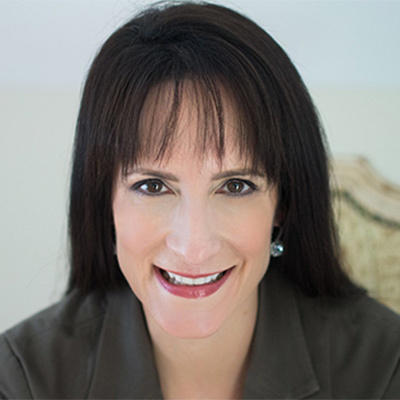 If you’d like to know more about how I can help you sell your home fast and for top dollar with my proven Get It Sold System™, call/text me at 703-447-0970 or email me for a free, no obligation consultation. Dual agency, when one real estate agent represents both the buyer and the seller in one transaction, can be fraught with perils and pitfalls. Dual agency is a bad idea and I won’t do it – and neither should you. Listing Agent: The Realtor® is employed by the seller and represents only the seller in the real estate transaction. Buyer’s Agent: The Realtor® is employed by the buyer and represents only the buyer in the transaction. Designated Representative: The listing agent and the buyer’s agent work for the same real estate firm or broker. Even though the agents are in the same company, they each represent the buyer and seller separately. Dual Representative or Dual Agency: The same Realtor® represents both the seller andthe buyer during the same transaction. When Are You Likely To Encounter Dual Agency? A common way that a dual agency situation can arise is if you visit an open house as a buyer before you’ve hired a real estate agent, and tell the agent showing the home that you are interested in buying the house. Then the agent, who is working for the seller, offers to help you write an offer on the house. If you accept that offer, you will be working with a dual agent or representative. There are no benefits of dual agency to you if you are a buyer. A dual agent can’t be your advocate since the agent is representing both parties. Plus, you could be losing out on the opportunity to have an agent search for properties and represent only your interests. A dual agent is not required to disclose the lowest price or terms the seller will accept, or the highest price and best terms the buyer is willing to offer. That creates a conflict of interest since the seller wants the highest possible price and the buyer wants the lowest possible price. While your agent is bound not to share any information you provide, would you feel comfortable telling someone also working for the seller the top price you would be willing to pay for a home? A dual agent has a large incentive to close a sale and this could create issues where the agent may not adequately represent one or both parties for fear of spoiling the deal, and losing out on not one, but two commissions. Dual representation is the most common cause of lawsuits in the real estate industry because it poses ethical risks. You should know that every agent has their own opinion on this subject and can choose to do it, if they wish, if both the seller and buyer agree to it. It’s a completely legal and very common practice in Virginia and D.C., but it is prohibited in Maryland and many other states. My advice to homebuyers and sellers is to hire a Realtor® who will only represent you. Do not sign a contract with an Arlington area real estate agent who will be a dual agent and represent you and someone else. Having the same Realtor® represent both the buyer and seller is like having the same attorney represent both sides in a divorce. You’ll be forfeiting your right to proper representation. And as a buyer, having a buyer’s agent represent you and your interests doesn’t cost you a penny since the seller pays the commission. Want To Know More About An Agent’s Role? Click here to request the brochure “Agency: Straight Answers About An Agent’s Role,” that explains the differenced between a buyer’s agent and seller’s agent and answers commonly asked questions. Need A Trusted Advisor Who Works Only For You? Interested in buying a home or selling a home in the Arlington area and want someone to represent your interests? Feel free to email, call or text me at 703-447-0970 for a no-pressure, free consultation – I would love to see if I could help you. Having a basic understanding of the ABC’s of real estate can help you navigate the sometimes confusing world of terms, jargon and “lingo” used when you are buying or selling a home in the Arlington area. CMA? LTV? MLS? Here are 20 real estate terms you should know before you buy or sell your next home. APR — Annual Percentage Rate: The true cost of your home loan, which includes the interest rate, points paid and any other fees in taking out your mortgage; often the best rate to use to compare mortgage loans when shopping for a lender. ARM — Adjustable Rate Mortgage: A home loan with an interest rate that can change periodically, on the basis of changes in a specified index, meaning your monthly mortgage payment can go either up or down, as market conditions change. CMA — Comparative Market Analysis: The process by which a real estate pro arrives at a value of your home by examining local data including the features, size and location of your property along with recently sold and for-sale homes in your area. Comparable Sales: Sales that have similar characteristics as the subject property and are used for analysis in the appraisal process and for contract negotiations. Deed: Written instrument, which when properly executed and delivered, conveys title to real property. Discount Points: A fee charged by a lender, at the purchaser’s option, to “buy down” the interest rate on the mortgage loan. One point = 1% of the loan amount. Escrow Payment: That portion of a mortgagor’s monthly payment held in trust by the lender to pay for taxes, hazard insurance, mortgage insurance, lease payments and other items as they become due. FHA — Federal Housing Agency: An agency of the U.S. Department of Housing and Urban Development (HUD). Its main activity is the insuring of residential mortgage loans made by private lenders, especially allowing those with financial struggles to obtain mortgages. LTV – Loan to Value Ratio: The ratio of the mortgage loan principal (amount borrowed) to the property’s appraised value (selling price). Example – on a $100,000 home, with a mortgage loan principal of $80,000 the loan to value ratio is 80%. MLS — Multiple Listing Service: An organized nationwide system that provides real estate professionals a centralized location to search for properties and comparable sales for their clients. The MLS in the Arlington area is known as the MRIS, one of the nation’s largest MLS systems. Origination Fee: A fee charged by a lender on entering into a loan agreement to cover the cost of processing the loan. PITI—Principal, Interest, Taxes, Insurance: Related to home mortgages, PITI refers to the total amount paid each month including principal, interest, taxes and insurance. PMI – Private Mortgage Insurance: The amount paid by a mortgagor for mortgage insurance. This insurance protects the investor from possible loss in the event of a borrower’s default on a loan. Ratified Contract: A contract that has been agreed to and signed by all parties. Settlement Statement: A financial statement rendered to the buyer and seller at the time of transfer of ownership, giving an account of all funds received or expended. Tenancy By The Entirety: A special form of joint tenancy for married couples which creates a right of survivorship, it allows the property to pass automatically to the surviving spouse when a spouse dies. Title Insurance: An insurance policy that protects the insured (purchaser or lender against loss arising from defects in the title). Want To Understand More About Important Real Estate Terms Homebuyers And Sellers Should Know? Have questions about real estate terms, jargon and lingo? Feel free to email or text/call me at 703-447-0970 to talk about anything you have a question about, whether it’s understanding common real estate terms or buying a home or selling a home in the Arlington area.